After creating a streamer wall for Selina’s third birthday, we started the think about easier ways to get the same effect. We decided a curtain we could roll up and re-use was the way to go. Cut streamers to your desired length. 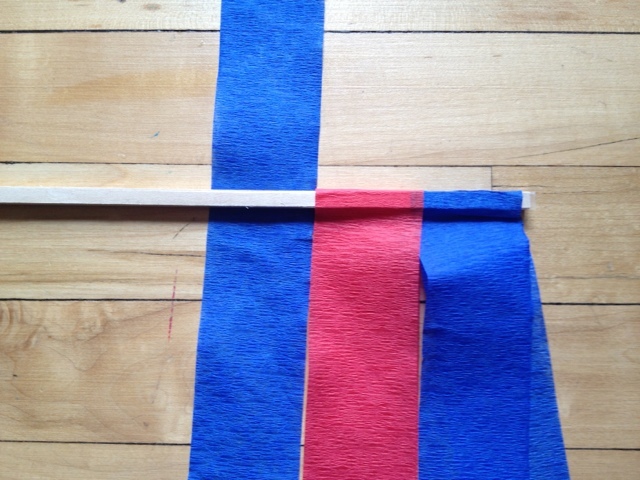 We doubled our streamers so that they would lay over the dowel. This makes the curtain fuller. 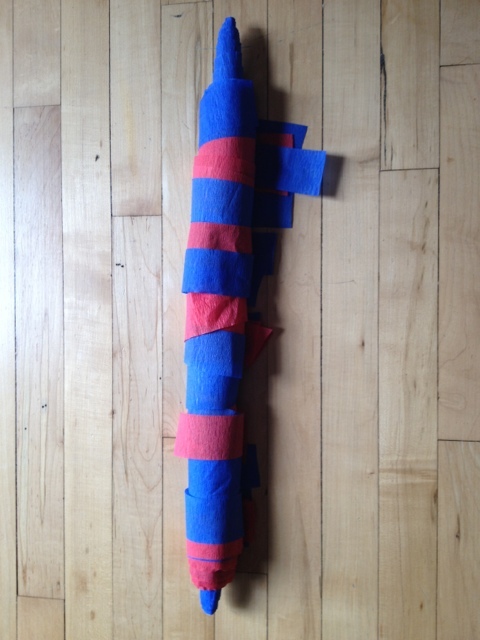 Attach double-sided tape to the length of the dowel and then start laying down your streamers. Keep going the length of the dowel until it is covered. You may have to trim the ends so they are even, or you could just leave them as-is. Then, you can take your curtain down after the party and carefully roll it up to use again another time. this is a great idea! am considering doing this with fabric strips for my son’s lower bunk bed.